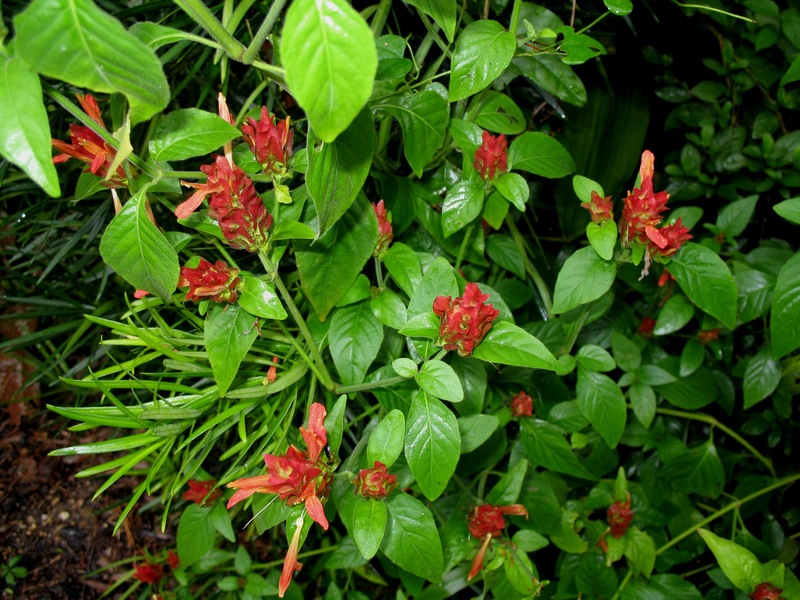 Comments: Its flower clusters consist of tubular, light red flowers stacked between large, reddish, triangular bracts. Is root hardy in zone 8. It is probably the most compact growing of the Justicas. Blooms most of the year, but few flowers in winter.